It's wise to inquire further when your participation requires that you provide a sample of your DNA. 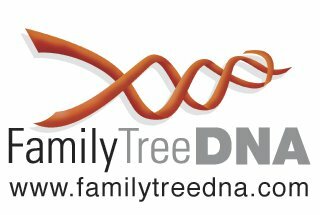 In an effort to help you make an informed decision, I've copied the following information from the FamilyTreeDNA web site . It is reprinted here for your convenience. Testing my DNA?!? Are you nuts?!?! A while ago a customer sent us a copy of the reply she received from someone that she was trying to bring into her family project. It had so many misconceptions that we thought: we need to publicize this and respond one by one to that person's claims. Our remarks are inserted in italics. A little while ago, I was challenged to explain my reservations regarding this DNA testing. First: Once you send off that sample, you have lost control of it. It becomes the property of FamilyTreeDNA. It will be stored at the University of Arizona. You will have no control over the sample, what it is tested for, who will have access to the test results or how the results will be used beyond attempting to match you with distant kin. What if you, your children or your grandchildren are suddenly being asked to pay higher rates for health insurance because an insurance company has found that your DNA has the genetic marker for Alzheimers disease, breast cancer or some other catastrophic disease. The web site may give you all the assurances in the world that your privacy will be protected, but you have no guarantee that this will be respected in the future. Second: What if the testing shows that you are not related to the people you think you are related to? You may not care that your grandfather is not really your grandfather. You may even find it amusing, but your straight laced maiden aunt may find it a source of humiliation. You need to be mindful of her feelings. In past years adoption was not treated as openly as it is today. Someone may discover that he/she is not a member of the family by birth. Do you have the right to force family secrets into the open without permission from the people involved. As the result of being matched with a "cousin", you may suddenly discover you have a mixed racial heritage. It may not bother you, but how will other members of your family or your community react to this news. I guess what I really come down to is the fact that you are not the only person who may be affected by submitting a sample for DNA testing. You have to think very long and carefully about who else may be affected and how they will react. If at the end, you can honestly say that you believe the benefits outweigh the dangers - go ahead. I certainly will not be joining you.